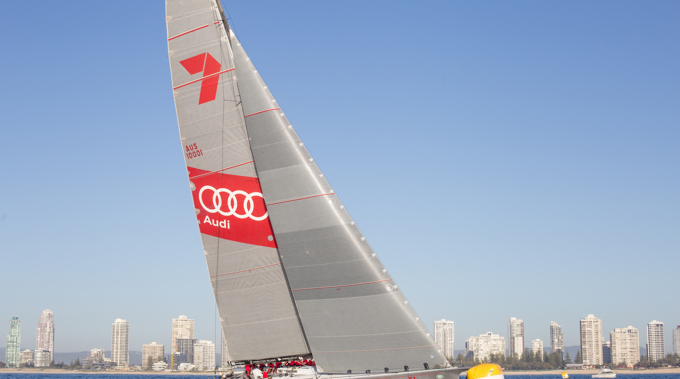 The 2017 Land Rover Sydney Gold Coast Yacht Race has been an entertaining affair so far. At the end of over 40 hours of sailing and racing, it was Wild Oats XI that crossed the finish line in the first position. It posted a timing of one day 18 hours 37 minutes and 6 seconds. Wild Oats XI got the better of the popular Black Jack by a very small margin. 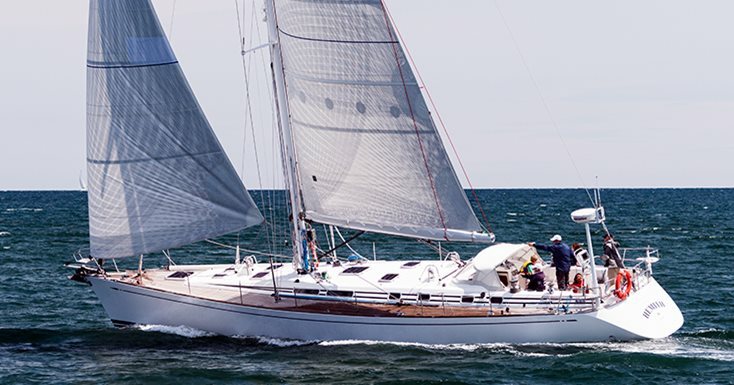 The final report of Force project and Downwind Aero Moments on Phase 2C has been released by the Sailing Yacht Research Foundation (SYRF). The report is published online and contains the complete details about the project. The project got completed under the guidance of researchers Michael Richelsen and JB Braun of North Design Services. In this paper a multi-part study has been done that used fluid-structure interaction (FSI), modeling to create a publicly accessible set of results consist of all the forces and aerodynamic moments for an array of downwind sails, wind speeds and angles. Phase 2C studied these effects at apparent wind angles. Interestingly, the findings of the research have profound implications for the spinnaker sheet trimming parametric changes. Sailing club Volga is all set to give a boom to sailing sports in river Krishna. The club will open its arms for both who want to enjoy the sport as well those who want to take it as a career and learn new skills. This step of the club has come after the initiative of ex- Indian Navy officer Buridi Madan Mohan Rao. 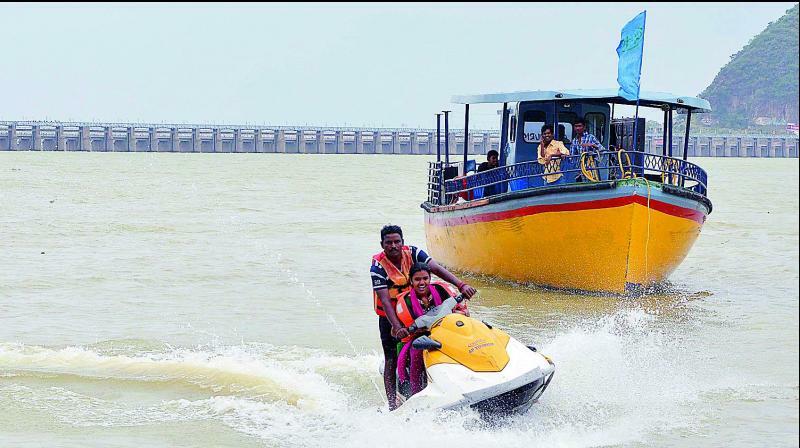 Rao has selected Vijayawada to promote sailing and other type of water sports. He will be doing this in association with Tourism Department of Andhra Pradesh. Earlier on Saturday, the Kinghorn RNLI Lifeboat station crew rescued a single yachtsman after he ran aground on rocks – south of Inchkeith Island. The 19’ yacht ran aground on Briggs rocks (a reef to the south of the Island) and began to sink after a hull damage. The crew of the volunteer lifeboat was alerted after 2.00 pm and arrived on the scene to find the boat aground and being beaten-up against rocks by waves. The skipper of the yacht, a man in his 60s from West Lothian, was taken off the yacht as it was listing in the swell, inducing the gunwales to be deluged. Mark Brown (Lifeboat helm) said that the sailing yacht was going toward the west side when it hit the rocks south of Inchkeith. The skipper broadcast a mayday after the boat became holed and started taking on water. When they arrived at the scene, the boat was being dumped onto the rock because of the swell. So they took the yacht owner onto the lifeboat and transferred one of their crew onto the yacht to setup a tow. Up to seventy percent of the four thousand registered yachts in China are presently moribund with many yacht clubs losing their money, the senior industry members of China stated in an interview with the media earlier on Sunday. Kuang Xiangrong, Royal Hong Kong Yacht Club members with thirty five years of yachting experience, said that yacht industry in China is in an unhealthy state. Several firms are clustering to high-end business yachts, few clubs have equivocal orientations, as well as avenues for profit making are especially narrow, Kuang said, adding that the lack of government policy support and infrastructure means that yachting in country remains in a primitive state. People under USCA plan talk about MCA; people under MCA plan sound off regarding USCG. Insurance firms are a well known scapegoat of both sides, and not even the owners break loose the wrath. In recent years, there have been a few objections from yacht captains who have passed a career working up all the licensing ravel only to be stopped at the top. It appears that the tonnage on their ticket is not really enough to qualify them to deal with the vessels of that tonnage. Probably it should not. There is no shortage of captains — and the brokers and owners as well as insurance people — who would tell that experience is more important infinitely.